Many of you know I recently received free Breyers Ice Cream Toppings in exchange for tasting and giving my opinion, positive or negative of the products. If you missed my mini cherry party, see it here. When my dad's birthday came around I knew just what I wanted to make. Hot Fudge Sundae Cupcakes from Recipe Snobs. 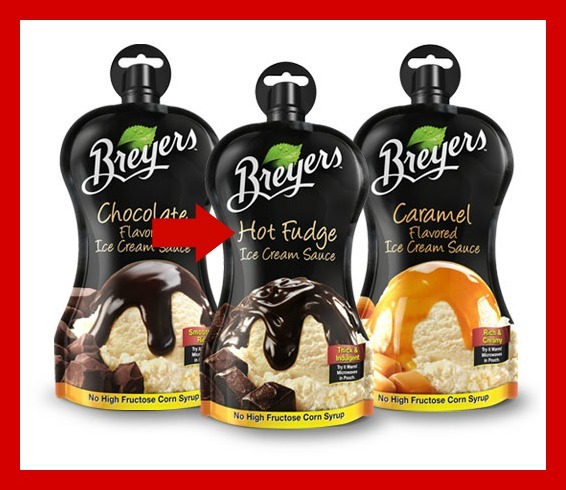 The recipe calls for a jar of hot fudge sauce but I used the Breyers Hot Fudge Ice Cream Sauce in the squeeze pouch. So easy to use and so good. Everyone loved the cupcakes. Thank you Breyers and Happy Birthday DAD!